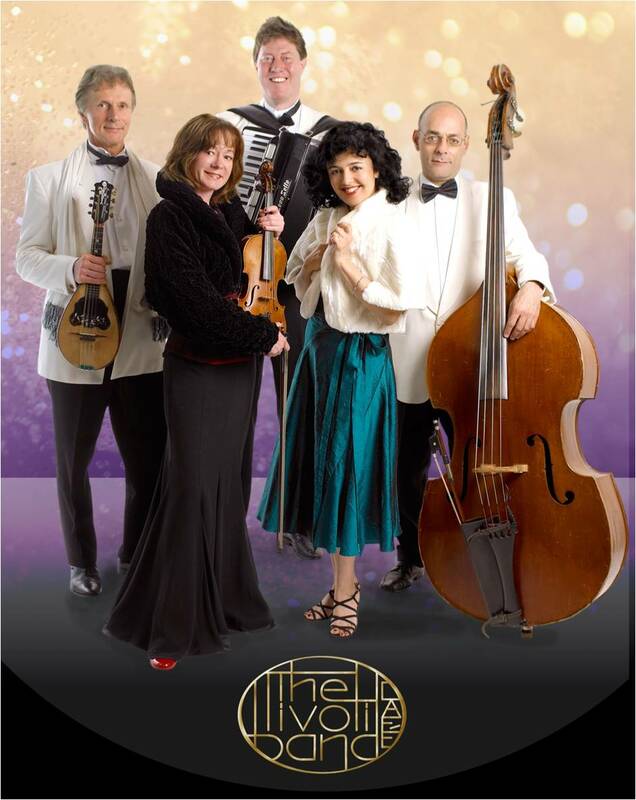 THE Tivoli Café Band plays music from the 1920s and 1930s, songs of the Belle Epoque and a wide variety of music for dancing. The band evokes all the cosmopolitan elegance of European café society in its golden age between 1850 and 1950. Fronted by the versatile Italian singer Alessandra Testai, the Tivoli Café Band is a virtuoso instrumental ensemble with a repertoire spanning the continent of Europe, from London to Moscow and Istanbul, with some American classics thrown in. We have songs in seven languages – English, Italian, French, German, Spanish, Greek and Russian - and composers include Bixio, de Curtis, Cesarini, Tosti, Waldteufel, Lehar, Gershwin and Jerome Kern. The Tivoli Café Band can offer performances with an Italian theme, or an international repertoire which transports audiences back into the polyglot musical heart of old Europe. Our music is also ideal for dancers, and if you want to waltz, foxtrot and tango the night away, we can provide the tunes, the rhythms and the musical magic.